As 2018 comes to an end, Alfa Laval would like to express a heartfelt ‘thank you’ for the past year and our ongoing relationship with you and your company. We also look forward to continued co-operation and a prosperous and exciting 2019 – with a focus on sustainability. The United Nations Sustainable Development Goals (SDGs) are setting the vision that humanity must work towards. Now it is up to businesses like ours to take us there. 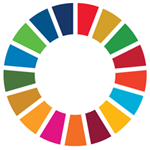 And we are very proud to say that we at Alfa Laval and our equipment contribute to more than half of the 17 established SDGs. Therefore, for the upcoming holidays we are dressing our Christmas tree with some meaningful decorations that celebrate and underline our sustainable commitment. Our ambition is to continue to create products and services that will help us all to contribute to a more sustainable world.